Do you know where the best beaches are located, and why? Don't worry, we do. Do you know which neighborhoods have deeded private beach rights? Which beaches have the lowest bluffs and easy beach access? Which lakefront homes are located within areas designated as High Risk Erosion? We know, because 255, 255); background-color: rgb(165, 165, 165);">Lake Michigan Lakefront Property and beach access real estate in Southwest Michigan is all we do. Let's talk before you move forward with your next real estate transaction. You will be glad you did. Southwest Michigan & Northwest Indiana Real Estate since 1987. 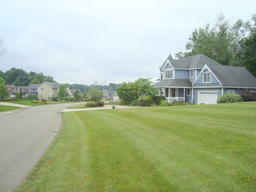 See all open houses in Southwest Michigan. "Paul and his wife Rocky are a formidable team. They bring A game talent to their clients. He had many homes to show us. When showing them to us he had a very high level of integrity in describing the pros and cons of each of the homes we were shown. He took time to understand the type of home we were looking to purchase. He was patient, kind and flexible with his hours to match our own. He found a house that met both my wife and my needs, desires, price range, and location. He had a group of professionals in his arsenal to help us through the process of search to close. We would highly recommend his services." The properties on this web site come in part from the Broker Reciprocity Program of Member MLSs of the Southwestern Michigan Regional Information Center. Copyright 2011 Southwestern Michigan Regional Information Center, LLC. All rights reserved. Data Last Updated April 23, 2019 4:47 PM. All information deemed reliable but not guaranteed and should be independently verified.